Mounting Center Distance A 2.35 in. Packaging Dimensions 2.8 in. x 1.6 in. x 1.8 in. 2 answers Can this transformer (P-T31) be used to replace a Hammond AO-24158-D in a AO-44 reverb amplifier. We are not techs and are unsure if this will work in the AO-44. The best thing to do is compare the specs of the P-T31 with the AO-24158-D.
1 answers Does this work with a 6V6 tube? 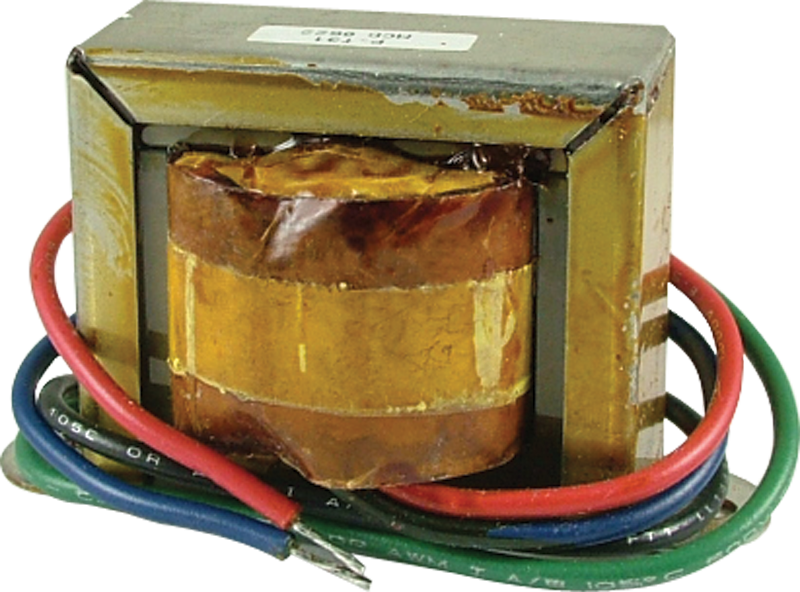 By looking at the spec sheet above, this transformer should work with 6V6, 7C5, and 6AQ5/A tubes. 1 answers How many pins does a 6V6 and 6J5 tube have? Both a 6V6 and a 6J5 tube have 8 pins each. If you are asking how many used or active pins, the answer is different. A 6V6 is a pentode. A 6J5 is a triode. Most of our current transformer stock will be leaning towards guitar amplification. I would suggest checking out the Hammond offerings as those would have the best chance of meeting your needs. 1 answers What kind of speaker should I use on the P-T31 transformer. I am restoring an old GE E-61 radio and the speaker and transformer are missing. Hoping this transformer will work, but not sure what kind of 8" speaker I need next. From what I can see you would want to use an 8 ohm speaker with this transformer. 1 answers What is the distance between mounting holes? The distance between mounting holes is 2-3/8". 1 answers WILL THIS TRANSFORMER WORK WITH THE 6V6 AUDIO TUBE? 1 answers Will this transformer work with an El84/6BQ5 tube? Yes, this transformer should work with the El84. We use this transformer with our MOD102 Kit: K-MOD102. 1 answers If this transformer isn't for the EL84, what one do you recommend for a single end? Hello, this transformer should work with EL84 tubes. 1 answers Is this transformer current production or surplus stock? Hi, this is a current production transformer. 1 answers What is the max DC bias for this OT? The maximum DC bias depends on the tube being used, the plate voltage, and the value of the cathode resistor. 1 answers How much current can this OT handle? The manufacturer does not provide a maximum current specification. However, our MOD102+ amplifier kit, runs the P-T31 at a current of 35 milliamps with a plate voltage of 242 VDC. 1 answers What would you recommend as the best sounding speaker for this transformer? Since speaker selection is a very personal choice, it is hard to say what is best for this transformer. I would look for a low wattage 8ohm speaker. For an economical solution SKU: P-A-MOD6-15-8 would be a good choice. If you wanted a large speaker SKU: P-A-C10R would be another option. 1 answers What is the frequency response of this OT? For example, the low and high frequency -3db points. Unfortunately we do not have the frequency response available for this transformer. We are not techs and would not be able to advise you on wiring this transformer. 1 answers Where are they made? These are made in Mexico. 1 answers What is the primary side inductance of this device? Suprisingly good sound from such a small and cheap device. very pleased.